Before we bought this house we always talked about tearing out the carpet in our last place and putting in hardwood floors. We both loved the look of them. They are pretty. 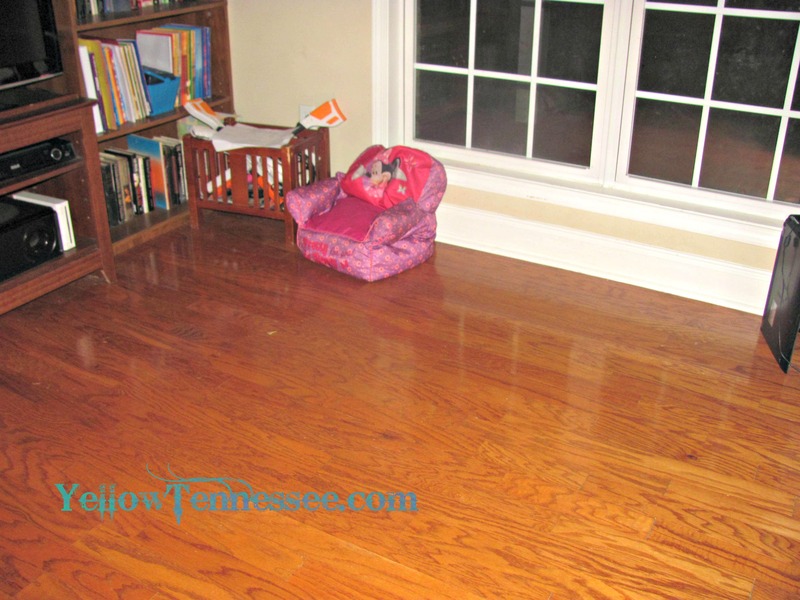 So when we looked at this house and saw the hardwood, we were thrilled. I mean, they are beautiful. Spills have to be cleaned up quickly, but it is easier to clean up juice from hardwood then from carpet. But I have to say that I also hate it. It shows every little thing. Add in the fact that there are 2 kids and 3 dogs living here and I can sweep the floor and not 2 minutes later it looks like I haven’t ever cleaned it. Then I realize that if we had carpet, all that crap would be in the carpet. Some of it I would never see and never get out with the vacuum. Then I love the floors again. It is a vicious cycle I tell you. And if anyone has any tips for mopping real hardwood and not having streaks left behind, I am all ears.